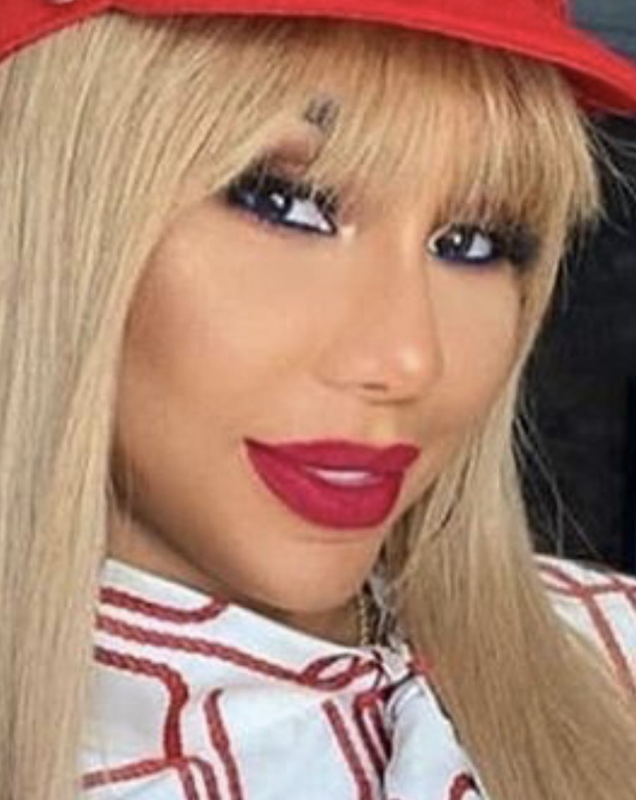 Last week after breaking up with her mystery man Tamar Braxton had a change of heart and finally let fans see his face [click here if you missed that]. 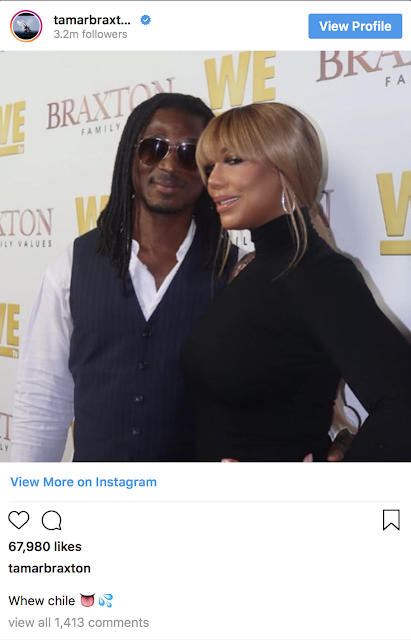 In a post on Instagram Tamar shared a picture of her man escorting her down the red carpet for The Braxton Family Values season premier screening. Tamar's new boo has been identified as David Adefeso, a Harvard business school graduate and former Wall Street Investment banker and currently the president of wealth management firm The Pacific Group. Well I must say I'm impressed with his bio. He sounds too good for her. But I wish them the best because anyone putting up with Tamar needs prayer. This woman hates being Black so much. Why is she doing this? Fake blonde straight wigs, bleached skin, bad plastic surgery to remove Black features..I don’t get it. She’s not even famous for her own merit. Them 15 minutes been ran out.